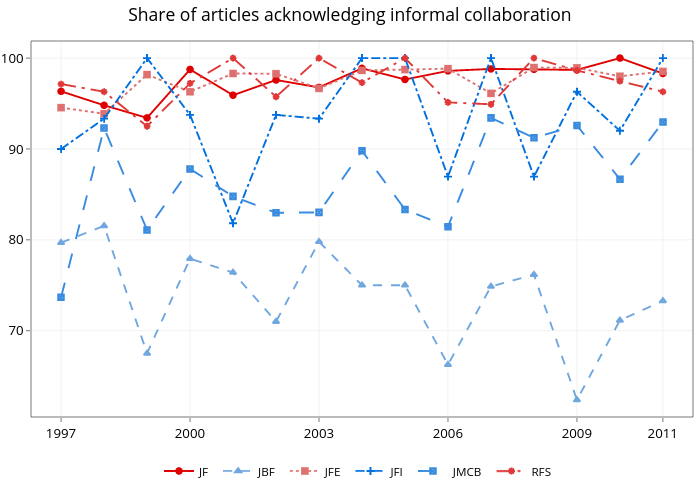 Michael-e-rose's interactive graph and data of "Share of articles acknowledging informal collaboration" is a , showing JF, JBF, JFE, JFI, JMCB, RFS. The x-axis shows values from 1996.3 to 2011.7. The y-axis shows values from 60.5 to 101.880952380952.